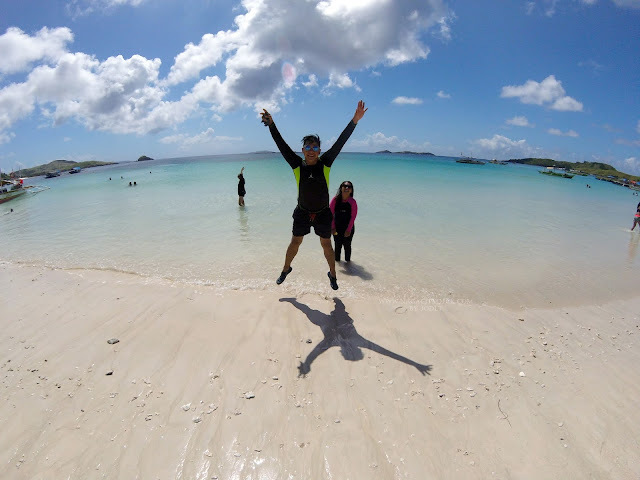 Naga City - Sweethearts, partners, couples, grandparents and grandkids, parents and children, workmates and best friends–will come in droves to run for love in “THE ATLANTIC LOVE RUN” 2015, a Valentine event offering of one of Bicol's best brands, ATLANTIC BAKERY. Happening on February 14 at 5:00 am, the run is designed for families, workmates, classmates and friends, this event will give the participants a chance to bond with their loved ones or pairs as they dash to the finish line. 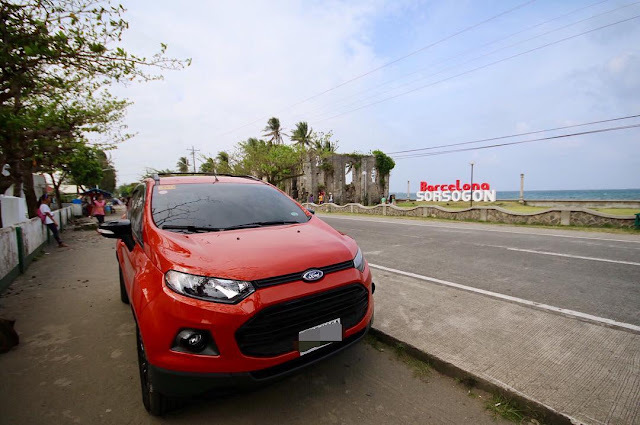 The event will culminate in the Plaza Quezon where there will be an after-run celebration entitled THE LOVE FIESTA. Registered participants will receive free entrance to this event and are invited to have fun and explore the different booths available such as inflatables for kids, food booths, game booths, giveaways, prizes and photo booths all for FREE to complete the fun experience. 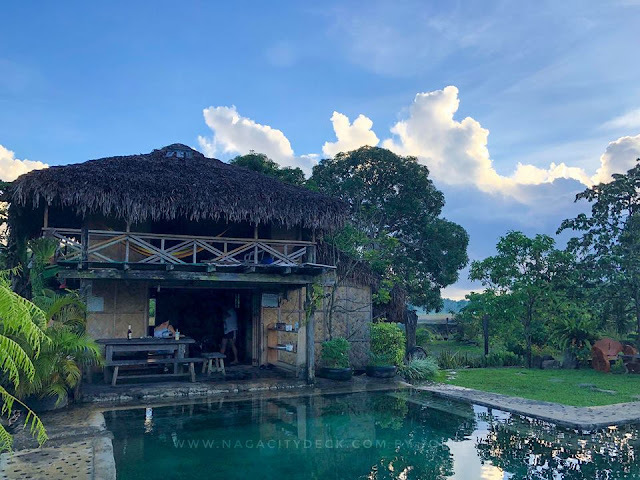 Proceeds of the event will go to Atlantic Bakery's LOVE Fund to continuously support their scholarship, education and youth opportunity programs and advocacies in Naga City and its nearby towns. 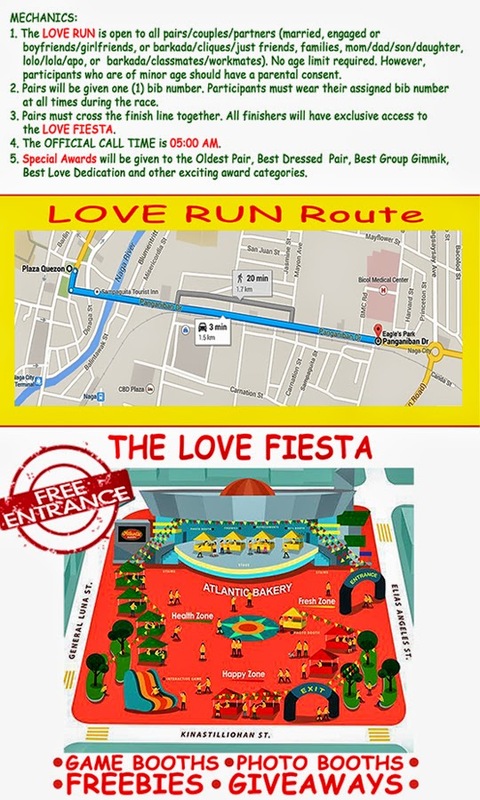 Pay the registration fee of P350.00, good for a pair, with one(1) bib number and two (2) Love Run shirts, plus FREE entrance to the Love Fiesta. Register now at any Atlantic Bakery branch. For more details you can contact (054) 473-9196 or 09399233649. See you at the run! 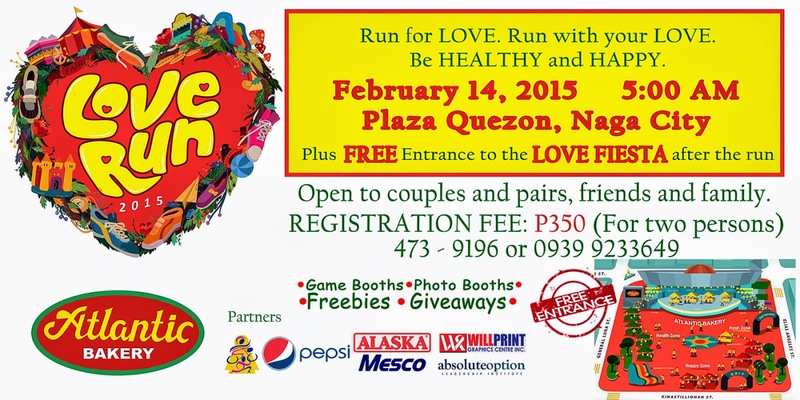 The ATLANTIC LOVE RUN is also brought to you by PEPSI, WILLPRINT, ALASKA, Parokya ni Bok and Absolute Options.